“FDA has identified an emerging trend where over-the-counter products, frequently represented as dietary supplements, contain hidden active ingredients that could be harmful. Consumers may unknowingly take products laced with varying quantities of approved prescription drug ingredients, controlled substances, and untested and unstudied pharmaceutically active ingredients. These deceptive products can harm you! Hidden ingredients are increasingly becoming a problem in products promoted for weight loss. If not harmful if nothing else they're just not helpful: "economic fraud" says FDA's health fraud leader, as reported in USA Today. The only legitimate weight loss programs are those approved by the FDA for both safety and efficacy. Losing weight safely is the important goal in medical weight loss diet plans. Call WeightLossNYC™ for a free medical weight loss consultation with Dr Aron. 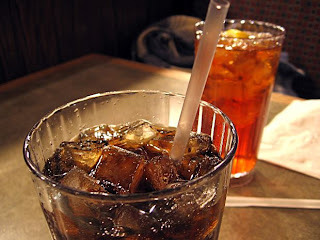 Researchers at the Johns Hopkins Bloomberg School of Public Health recently conducted a study examining the relationship between beverage consumption and changes in weight with results confirming what doctors and dieticians have been telling patients all along: sugary drinks are not good for the waistline. The public health study finds that not only are both liquid and solid calories associated with weight changes, but reduction of liquid calories can significantly affect weight loss after a 6-month follow-up, Benjamin Caballero, MD, PhD, told ScienceDaily. Other study findings include that sugar-sweetened beverages were the only type of beverage associated with significant weight change over periods of 6 and 18 months, supporting recommendations to reduce liquid calories, particularly sugar-sweetened beverages, to aid weight loss. Our weight loss diet program may include appetite suppressants to keep you from feeling hungry during your low calorie diet plan. Your medical diet program may already include these as per the doctor’s recommendation for your health and fitness needs. 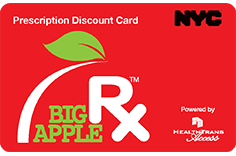 For those of you who also have prescriptions from our medical office or any other doctors you visit here in New York, you will be very happy to learn of this great free program sponsored by New York City. There is no signup or paperwork to fill out. You just need to visit BigAppleRx.com website and print out your card. That’s it. You can even use one card for your entire family. 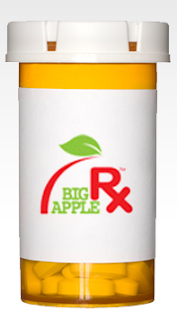 Save up to 47% on your pharmacy purchased prescriptions. Like reading good news about weight loss? Subscribe to our blog (you’re reading it now) or follow us on Twitter @weightlossnyc for great diet tips, weight loss success stories, video testimonials and many more fast weight loss ideas. Don’t pay Park Avenue prices for your medications. This information was provided via New York Methodist Hospital newsletter. Time and again we find people talking and wanting to lose weight, yet most of the slimming occurs in their actions. You do not need to struggle. There is no need to punish yourself. Just take the time to make the call and start your weight loss regimen with Dr Aron today. Fast weight loss can be achieved safely and effectively with Dr. Aron and WeightLossNYC™ care. Our medical diet programs give you the tools and means to make real progress in achieving your weight loss goals and keeping the weight off.